Insufficient awareness of the importance volunteerism through educational institutions. 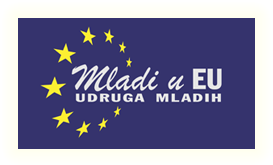 Main project activity: Youth Exchange in Šibenik, Croatia, dates: October 10-19, 2016. Requirements for participants: aged 18-30, interesting in the topic, active and positive attitude, at least communicative English, involvement in the whole process of project implementation (preparation, implementation, evaluation and dissemination), fulfillment of individual questionnaire provided by hosting organisation. to motivate them to further active participation in volunteering and to approach the concept of volunteering as an altruistic activity in which they invest free time for the benefit of others and the welfare of the community.